If you're in the market for a large people carrier, suddenly all the various seveN-seat car-based options aren't really options. When you need space for eight people, even if it is only occasionally, you have to divert your attention away from the Ford's and Vauxhalls of this world. And there's a good chance your gaze will fall on Hyundai's i800. Eight-seat people carriers aren't exactly two-a-penny. There is a good reason, though - not everyone needs something the size of a van. 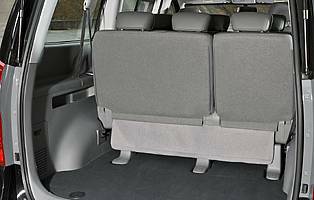 However if you do need something adept at carrying both people and, say, their luggage on a regular basis, you're often stuck with a converted van with windows and seats. Light commercial vehicles have come a long way in recent years, but you could never really class them as desirable. Hyundai's i800 is better than this, and its surprising car-like character is something of a relief. It's more of a blessing in disguise, especially if you are going to be driving the i800 for the equivalent of a working day. With the i800 being something of a niche vehicle - even in the world of full-size MPVs - there's a fair chance that it will be bought and put to work in the executive hire world. 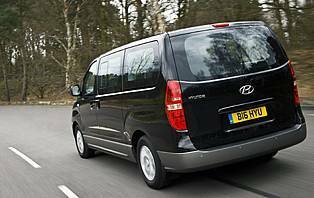 Its ability to carry seven passengers in comfort plus a substantial amount of luggage ensures that its size is actually an asset on the demanding 'airport run' circuit. And life inside the i800 is good for the driver, too. Up front the i800's fascia couldn't be more car-like, making it easy to get comfortable behind the wheel. 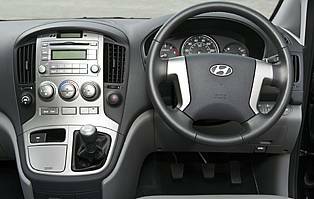 Supportive seats, a high quality audio unit and high-level manual gearshift all help banish any comparisons with rival van-like offerings. 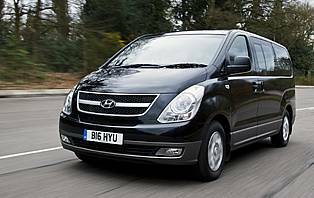 That the big Hyundai drives with the sophistication of a car-derived MPV is the icing on the cake. Compromise used to be the watchword when considering a really big people carrier; you needed the space but all manufacturers could offer were vans with windows and seats. Things have moved one, and when buyers are used to car-like refinement they expect consistency across the motoring spectrum. And that's exactly what Hyundai's i800 delivers. On price nothing comes close, while it's also fair to say more expensive rivals could be seen as overrated.